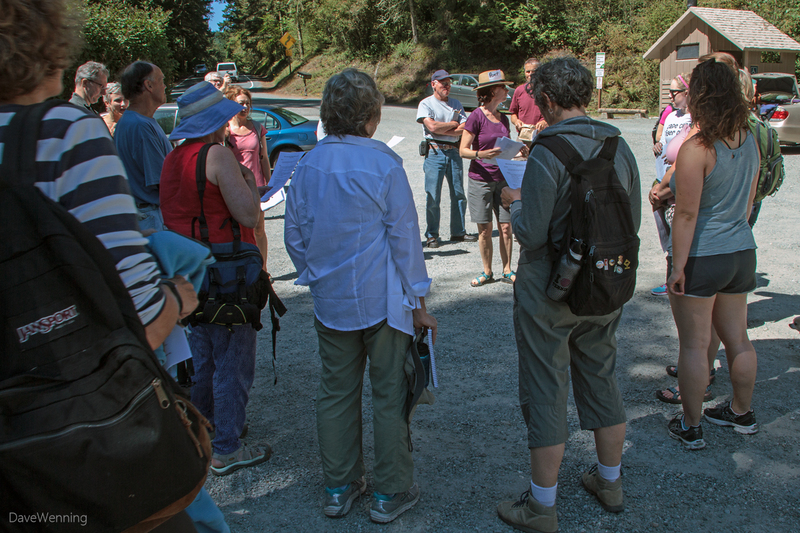 Last Sunday, August 10th, I took part in a unique event at Deception Pass State Park. I joined a group assembling at the Pass Lake Parking Lot. 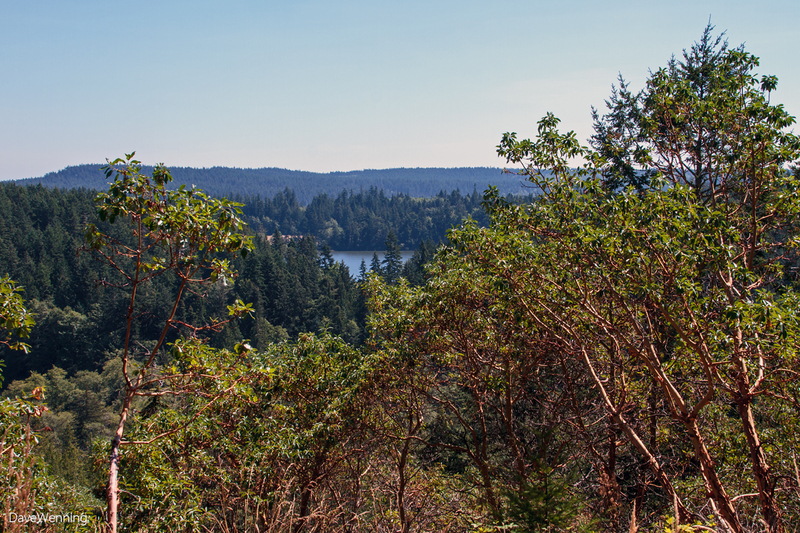 We would hike to the top of Ginnett Hill with Washington State Poet Laureate Elizabeth Austen. Park Manager Jack Hartt would be our host. 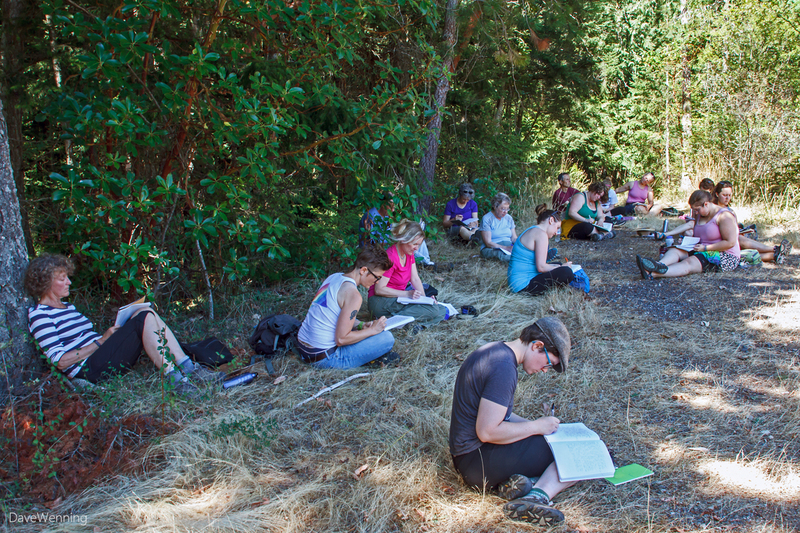 This was a writing workshop that incorporated a three mile hike in the woods. 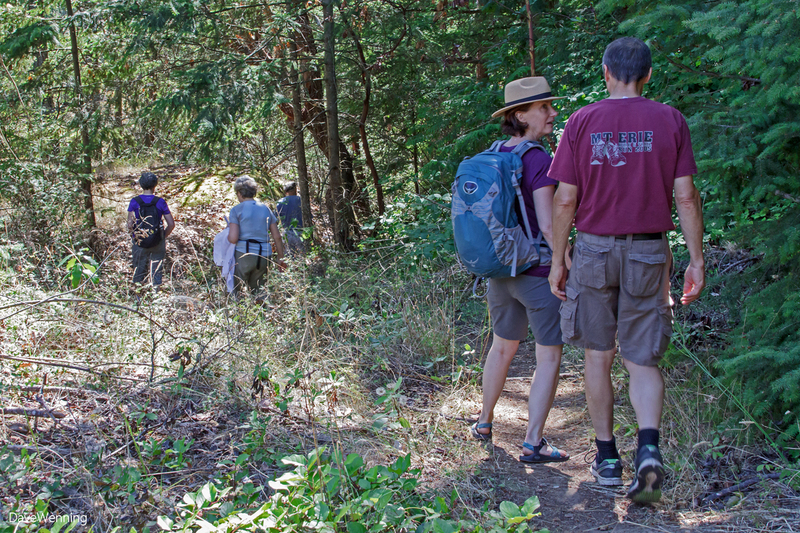 The Ginnett Hill trail is one of my favorite places in the park so the event was irresistible. I have the hiking part nailed. It was the writing part, with a celebrity no less, that I wasn't sure about. I have become comfortable writing for my blogs. Writing for schoolwork, however, was always difficult and stressful for me. I wondered how much like schoolwork this would be. As we got started, my anxieties were quickly put to rest. Her instructions were "Don't worry about results. Focus on engaging with your surroundings, and finding words that express something about what you perceive." I kind of do that now in prose form. Maybe this won't be like school after all. To get us in the groove, we looked at some poems about nature by Elizabeth, Emily Dickinson and Charles Simic. 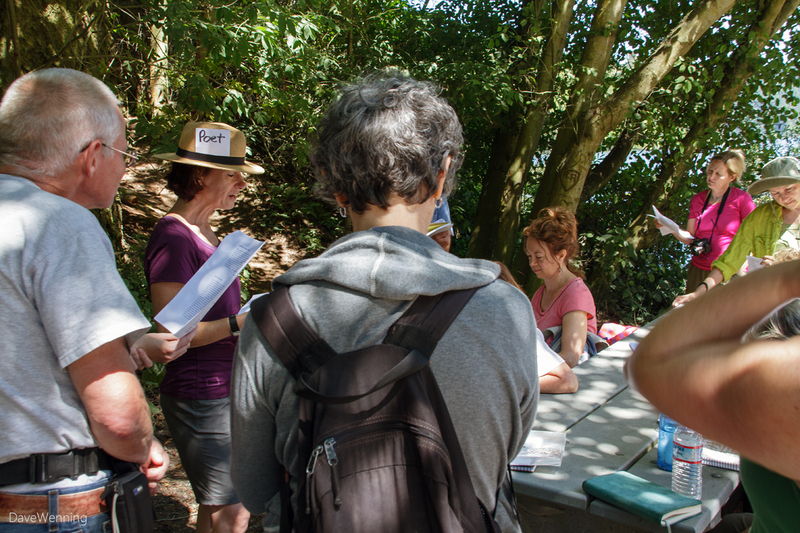 Before setting off, we were asked to take note of the things we see and smell and feel along the trail. At the end of the trail we took in the views of the valley below us and Pass Lake where we started the hike. It was a warm day, so we sought out some shade. With some quiet moments, we would organize our notes, take time for reflection and begin our writing. After visiting with new friends, we headed back down the trail. This turned out to be an enjoyable day and I am glad I participated. Meeting Elizabeth Austen was a special treat. A hike in the woods is always fun. 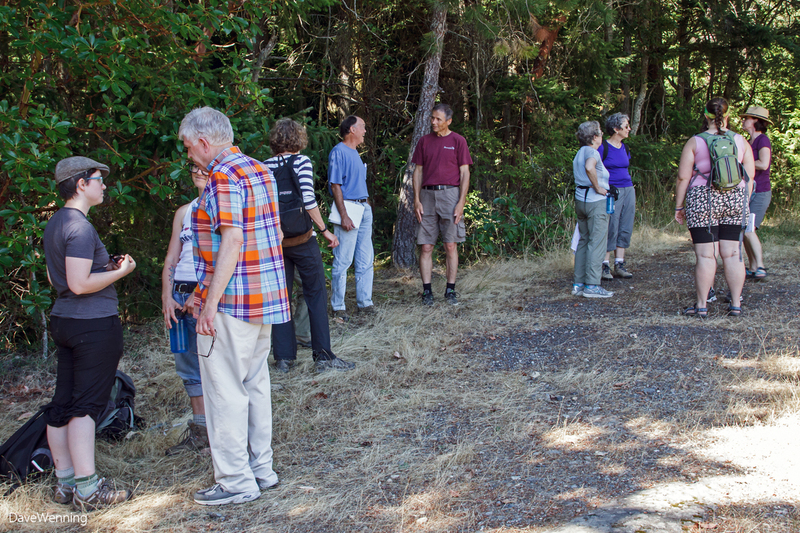 A hike at Deception Pass State Park with Washington's Poet Laureate was something extraordinary. Elizabeth Austen has a full schedule of events all over Washington in the coming months. Try and catch one of these if you can. The Ginnett Hill Trail passes through a closed canopy forest. Giant Western Redcedars, Douglas Fir, Grand Fir and Western Hemlock tower above us. 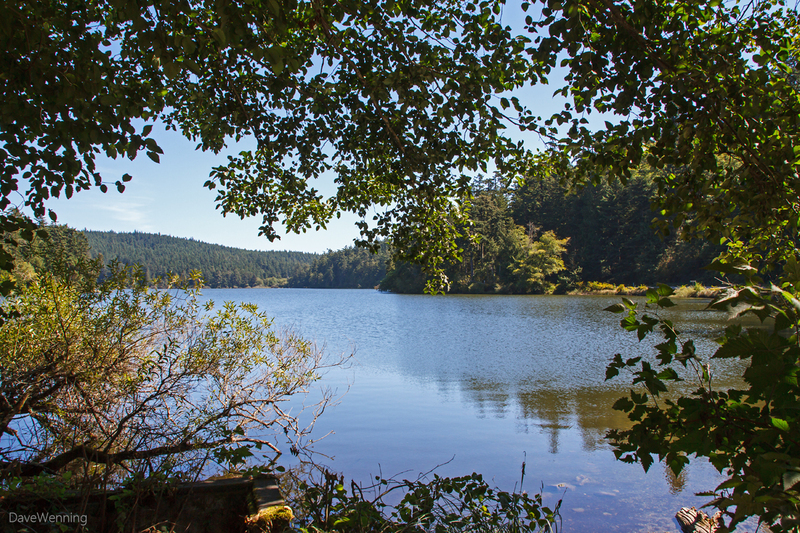 Here and there, beams of dappled sunlight would reach through the canopy and light up a spot on the forest floor. 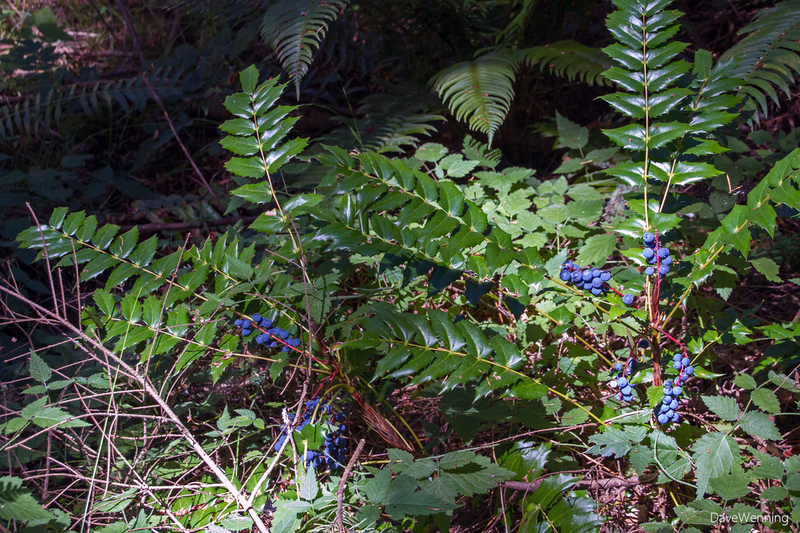 This Mahonnia nervosa, Low Oregon Grape caught my eye. Those purple fruits glowed in that little beam of sunlight. I don't recall ever seeing one with fruits this fat and brilliant. It was a startling contrast in the deep shade of the woods. About the same time, a Steller's Jay scolded us from the canopy. It was obvious that bird was not pleased to find this crowd of people in his forest. Grrr! My comment disappeared...or maybe not? Anyway, love this post and your verses, they are lyrical and evoke the forest, the day, the birds, the berries. Lovely! I'm going to see if I can join Elizabeth on another hike this fall. Jill, thanks. I will look forward to your verses after your hike.